From Lipová you can reach the railway station Mikulášovice dol. nádraží. On the way from there to the Thonmi area, we are planning to prepare information and interactive signs to help you learn more about the stupa, the Uzbek oven and the home of the yaks. Part of Thonmi z.s. 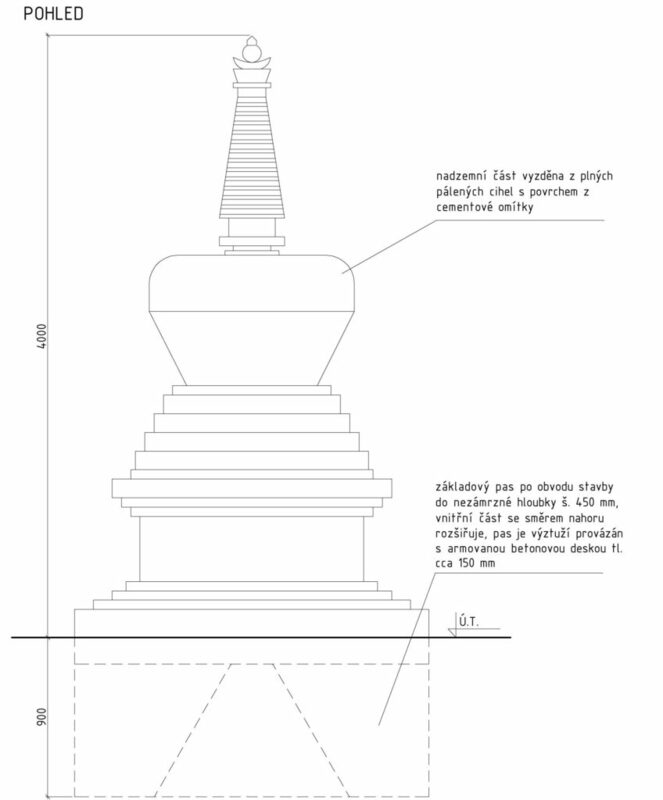 is a Tibetan stupa. We have completed the structure in 2017. 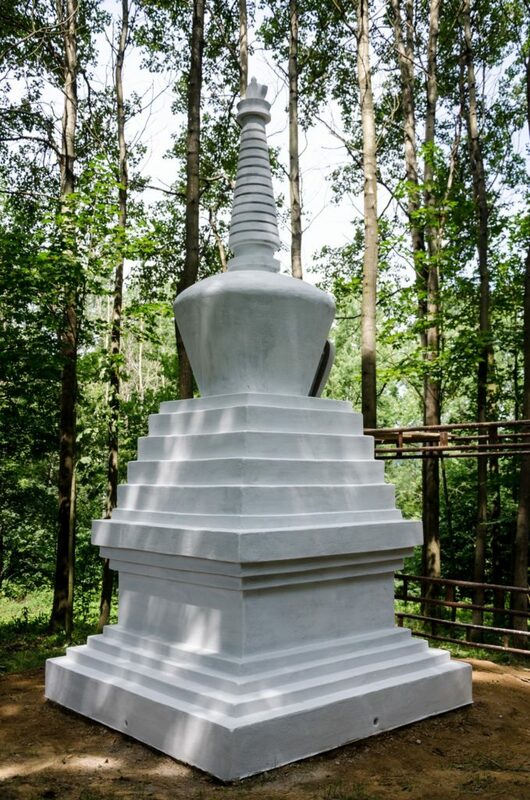 Stupas are part of everyday life in Tibet and other regions of Central Asia. They are not only a symbol of Buddhism, but they should also show the order of the universe. 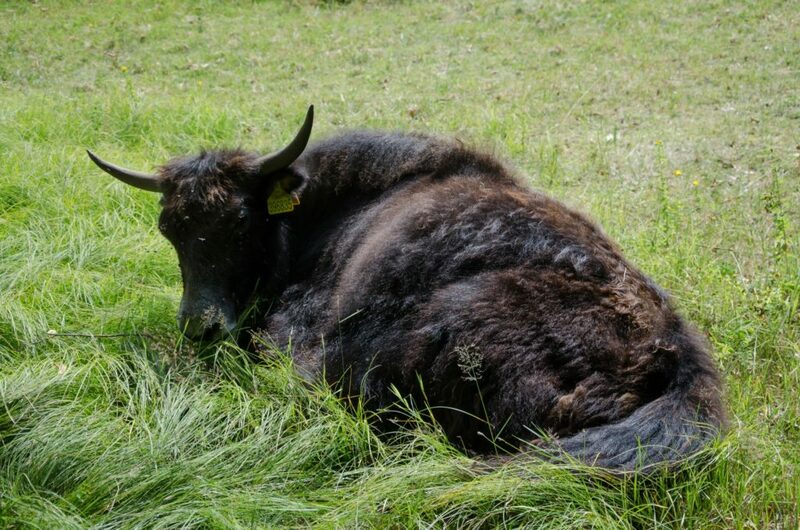 In 2017, we bought a herd of Tibetan yaks. In the Tibetan highlands, Hindustan or Mongolia, agriculture is the main source of livelihood. 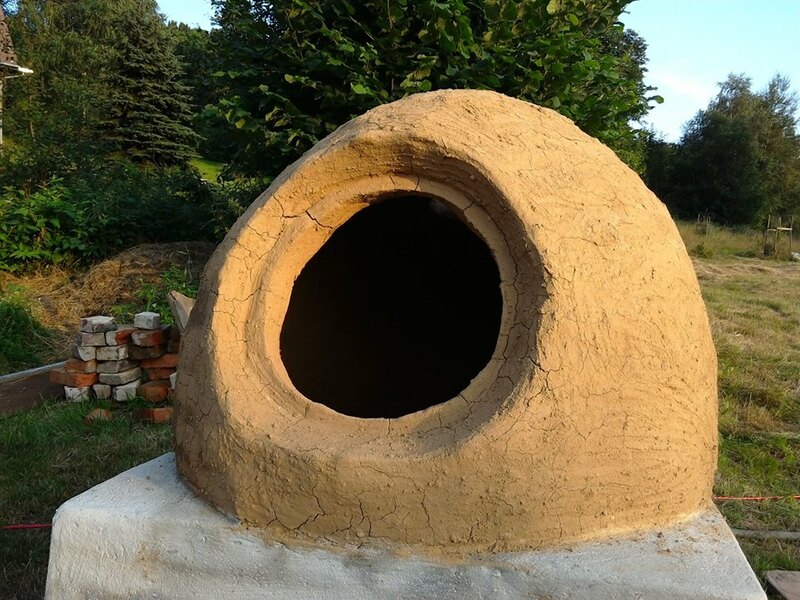 A tandoor (clay oven) is mainly used in Central Asia for baking bread. Usually it is standing free, but it can also be embedded in the ground. In a tandoor you can bake Samsy (stuffed dumplings with meat, pumpkin, spinach or cheese) oder or shashlik (meat skewers). The design and size of the tandoor may vary according to local traditions in Afghanistan, Uzbekistan, Tajikistan, Sintiang and other areas. In 2016, we built an Uzbek tandoor in Fergana style on the Thonmi site. 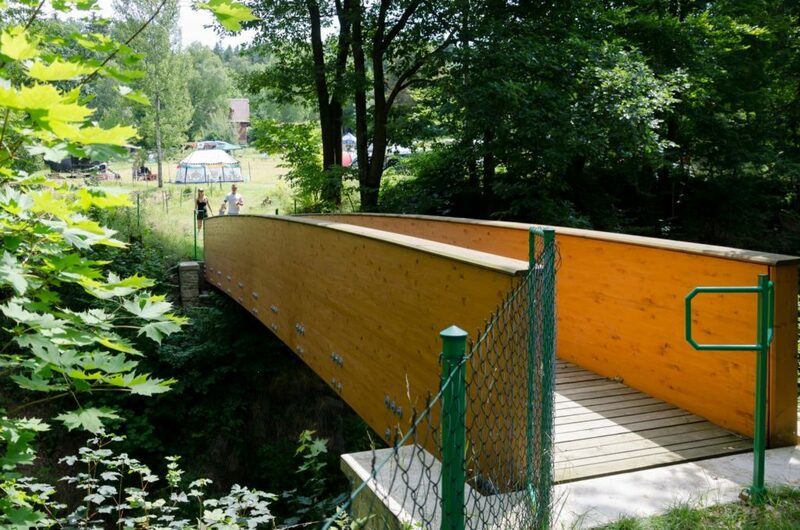 In 2015 we finished the pedestrian bridge over the track between Mikulášovice and Velké Šenov. The pedestrian bridge stands on the site of the original bridge and connects the grounds of the Thonmi area.